My book, The Third Road, will help you find more peace in your life. Journey with me on a road of discovery and find your purpose in life. All the peace and love you desire is waiting for you, as you travel on the Third Road where you will discover the power within, that will bring you true happiness and your purpose in life. WELCOME to this peaceful, inspiring, sanctuary where you will be able to relax and connect with nature, poetry, prayers and the peace within you. I created this free website for YOU in order to help you find PEACE in your life. The helpful links can guide you to hope and the famous quotations are inspiring. Your alliance with humanity will be restored as we nestle in this peaceful place. Sit back, enjoy, refresh, renew, and feel the love that surrounds you. This is your time for peace and quiet, to dream, meditate, pray and be filled with joy. This is your time to find your inner dreams. Peace of mind, serenity, and calmness are descriptions of a disposition free from the effects of stress. Divine love encircles the world, flowing from heart to heart as peace. At the deepest level of creation, all beings are seeking peace. Underneath the outer shell of every human being beats a heart created in pure love. I pray from this consciousness, visualizing each person connecting with their divine selves and acting from that sacred place. I envision the world enveloped in peace and wrapped in a warm, flowing channel of divine love. In gratitude, I affirm: Divine love is flowing, connecting, and healing the world and everyone in it. I, too, act upon my inner divinity, recognizing that every word I speak and action I take can be done in peaceful, loving, and faith-filled ways. Divine love flows from my heart to bless the world. You cannot feel Me, yet I am the power at work in your hands. I am at work, though you do not understand My ways. I am at work,though you do not recognize My works.I am not strange visions, I am not mysteries. Only in absolute stillness, beyound self, can you know Me as I am, and then but as a feeling and a faith. Even if you deny Me, I am there. Even when you feel most alone, I am there. Even in your fears, I am there. I am the law on which the movement of the stars and the growth of living cells are founded. 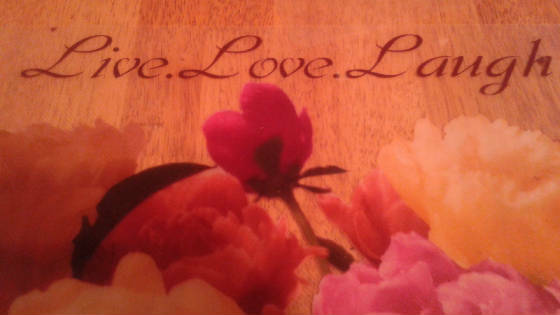 I am the love that is the law's fulfilling. I am assurance. I am peace. I am openness. I am your assurance. I am your peace. I am with you. In the landscape of the world there are multicolor facets of individual lives that touch each other in unexpected ways. Do I dare reach out to another in an attempt to support, or close my eyes and wander to an unspecified agenda? Something beckons me to the call of the forgotten; to those who have no voice or face. Hence, I forge ahead, with deep emotions, abiding feelings, loving thoughts of survival, reaching my hand out to those that have no hope. Will my hope increase their hope, as well as my own? Who sent this faceless person to me? Is it for my sake or theirs? Destiny beckons and I see through the worlds shadowy glass to the clear reality of the meaning of our encounter. Pre-planned by a cosmic wave of energy that circulates the sky, invisible, yet very much felt. Then, suddenly as if by chance, but actually by an organized force, we connect and your pain becomes mine, unable to separate ourselves, since we are one in the same with our Creator. We are now dancing in a movement of the cosmic sea, whirling to the waves of emotions, as we try to touch upon a mutual understanding of trust and survival. Then the most amazing thing erupts. The unseen solution emerges, as if from a tiny speck of thought, and we find the one thing that we were both looking for, which by name is hope. Website established Jan. 2005 by Rachel. All rights reserved. This website is not to be reproduced without the express written permission of the webmistress. 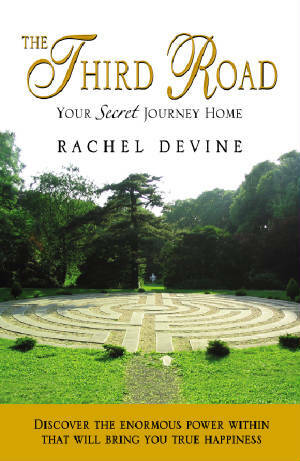 To order a copy of the The Third Road, Your Secret Journey Home. Please contact me.